Wet rot is a term used to describe multiple species of fungus which grow on porous substances like wood when there is a moisture level of at least 50%. Wet rot gained its name because it requires a significantly higher moisture level than the other primary cause of timber damage in homes, dry rot. If you’re ever unsure about the severity or presence of wet rot, try pushing a sharp object into the suspected wood. If the wood is healthy, it will have trouble passing through. If it easily enters the wood, then you can be sure that the moisture content of the timber is too high and you have a problem on your hands, even if wet rot hasn’t set in yet. The main concern about having wet rot in your home is the structural instability that it can cause. Therefore, if you do notice a problem, it’s essential to instruct a professional survey to accurately ascertain the cause of the problem and get it addressed. This is particularly important considering how easy it is to confuse dry rot and wet rot, so it's always best to get a professional to diagnose the issue before acting to get it treated. Wet rot treatment has always been a step-by-step process. With almost all fungus-related timber issues, the first stage of the wood rot treatment process is stopping the wood from getting wet. If water is entering the property and the wood, whether it is through condensation, broken guttering, or something else, it's essential to locate this ingressing water and stop it from continuing. Afterwards, the wood must be left to dry out before we can look at just how bad the wet rot problem has become. 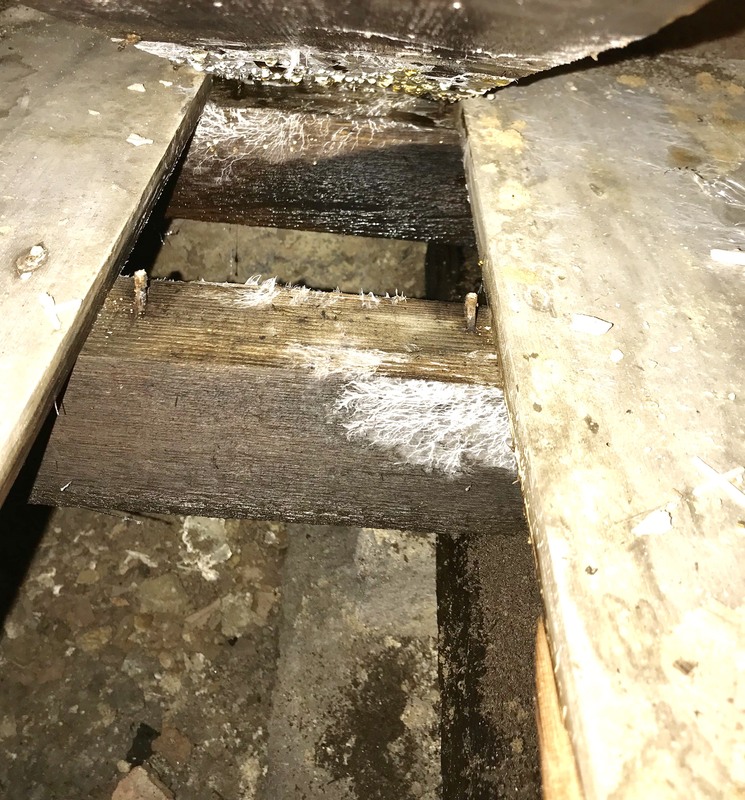 Any severely weakened portions of wood will need to be replaced to ensure structural stability, which is why evaluating whether your timber needs to be replaced is a big part of our wet rot treatment service. After evaluating the situation, we will replace the affected wood and remove any superficial rot. What Exactly is Wet Rot? Whilst wet rot refers to a variety of different fungus species, the most common wet rot comes in the form of ‘Cellar Fungus’ (Coniophora Puteana), a brown rot that displays itself as a sheet-like growth with delicate brown threads sprouting from the rotting wood. Unlike dry rot, it’s rare to see the fruiting body of wet rot but it tends to be brown with a slightly lumpy texture and cream coloured margins. 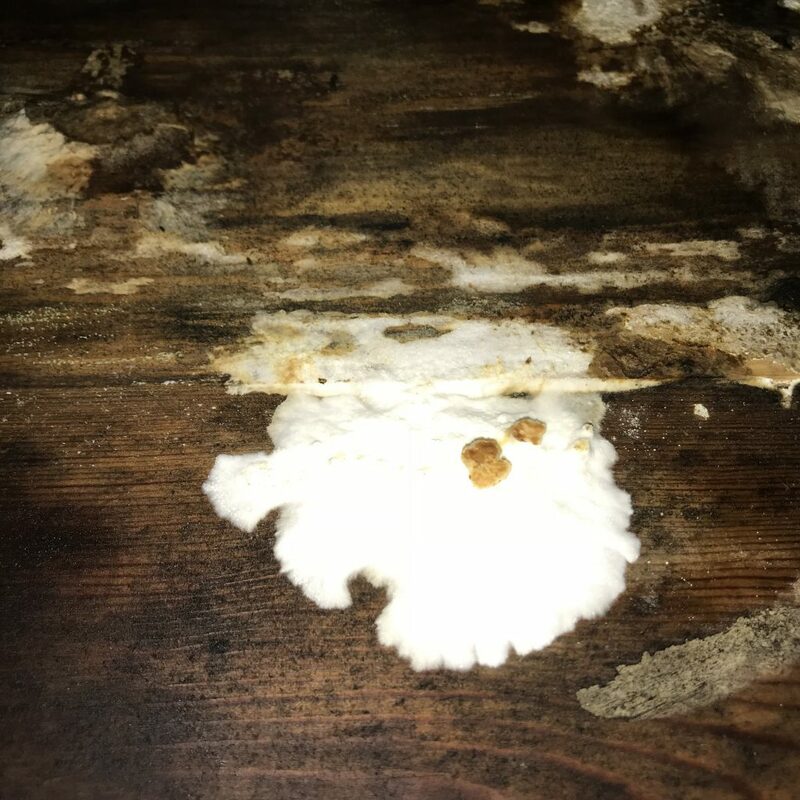 Whilst Cellar Fungus is the most common, there are plenty of other fungi that cause wet rot too, many fitting into the white rot category. White rot causes similar problems to brown rot but differs in appearance. The most common type of white rot is Phellinus Contiguus which presents as a light brown, sheet-like growth. Often, light brown threads can also be found sprouting from the wet wood, although the biggest visual difference between wet rot and dry rot is the rarely seen fruiting body which is brown with a woody nature. It can have a corrugated appearance and forms to the contour of the affected timber. If left unchecked, these fungi can penetrate the wood itself and cause serious structural instability, particularly because the fruiting body’s purpose is to grow and release more spores. This is why it's essential to treat wet rot as quickly as possible. The cost of wet rot treatment varies greatly depending on the size and severity of the problem. For a localised issue, caught early, it can be very quick and easy to address your issue, compared to a major widespread fungal problem. For an accurate quotation, we would need to survey the property and analyse the extent of your wet rot problems. Here at Garratt’s Damp & Timber, we offer completely free surveys and no-obligation quotes for your peace of mind. We specialise in offering detailed and comprehensive information, so that no matter what course of action you choose to take, you fully understand the current situation in your property. If left unaddressed, wet rot can lead to serious damage. The team here at Garratt's Damp & Timber know this better than anyone, with over 15 years' experience as wet rot specialists in London. Our experts can help you identify and address your wet rot problems, as well as advise you on how to prevent future issues through lifestyle changes, home improvements and ventilation systems. Centred around a team of qualified surveyors with experience in diagnosing and treating damp and timber problems, book your free survey today with Garratt's Damp & Timber.